Book hotel rooms online with us at Real Bellavista Hotel & Spa at the lowest rate, guaranteed. Get a holiday discount room rate at the 4 Star Real Bellavista and Spa Hotel located in Albufeira in the Algarve. The complex has 195 holiday bedrooms providing accommodation from two adults to three adults. The Real Bellavista and Spa Hotel is situated in a residential area and near to the Albufeira Stadium. The holiday bedrooms are air-conditioned and are equipped with balconies with satellite TV, direct dial phones, internet access, and a safe. 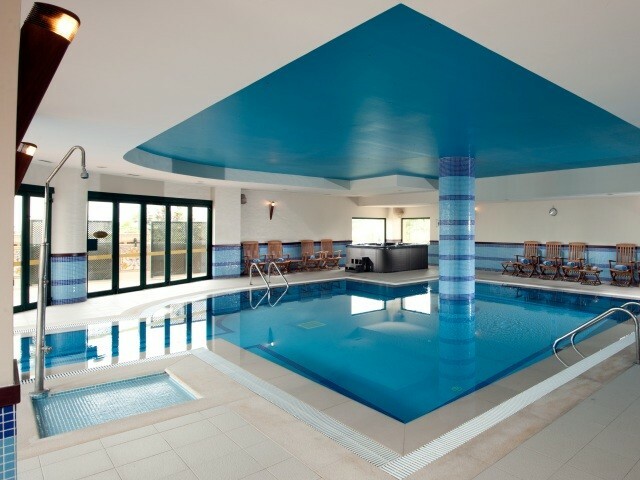 Real Bellavista and Spa Hotel facilities in include a restaurant, bar, a Health Spa, massage and treatments, indoor and outdoor pools, a Business Centre, a Fitness Centre, a sauna and steam baths, games room, Kids Club, and internet access. A courtesy bus takes guests to the beach and to the old centre of Albufeira.